The award-winning Featherbed Railroad Bed and Breakfast Resort is Northern California's most unique rural bed and breakfast, and features hotel bedding made by DOWNLITE. 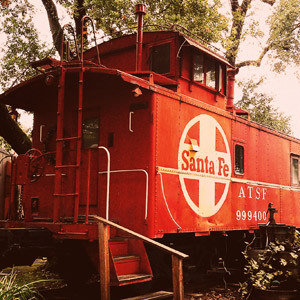 The Featherbed Railroad Bed and Breakfast uses our feather beds in their unique caboose rooms. These products are available for sale to home customers. Although this property should use the products listed below, it is not always possible to guarantee they are the same as the ones you enjoyed while staying at this property (but we are sure you will love them).